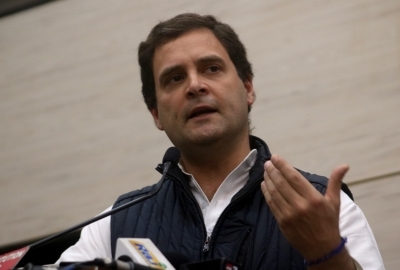 New Delhi Sep 14 (IANS) Congress President Rahul Gandhi on Friday appointed nine new AICC secretaries. In a statement party General Secretary Ashok Gehlot said: "Zenith Sangma has been appointed as secretary for Arunachal Pradesh Amapareen Lyngdoh for Mizoram Charles Pyngrope for Manipur Victor Keishing for Meghalaya Pradyut Bordoloi for Nagaland Pradyot Deb Barman for Sikkim Bhupen Kumar Borah for Tripura Sudhir Sharma for Jammu and Kashmir and Sirivella Prasad for Tamil Nadu." The Congress chief also appointed Chairmen of the Research Department. Lalit Mehra has been appointed as the chairman for Rajasthan B.S. Shiju for Kerala Ulhas Parab for Goa and Idris Gandhi for Chhattisgarh.